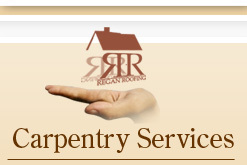 Regan Roofing is a Dublin based roofing Company. We provide a full and complete roofing service to Dublin and surrounding counties. At Regan Roofing we have the experience and necessary expertise to undertake every aspect of roofing. This includes carpentry, slating and tiling of new and old builds.We also do repair work. We specialize in the Natural Slating. We also work with Welsh, Spanish and Canadian slates. We have the skill to complete the most difficult roof detail including: mitred hips, mitred valleys, spires, curved roofs, lead hips and lead cladding. We are C2 registered. Insurance and grant work are also undertaken. Regan Roofing provides a full carpentry service, which includes: cut roofs, truss roofs, first and second fix in new and old builds, attic conversions, hand made stairs, hardwood or softwood.